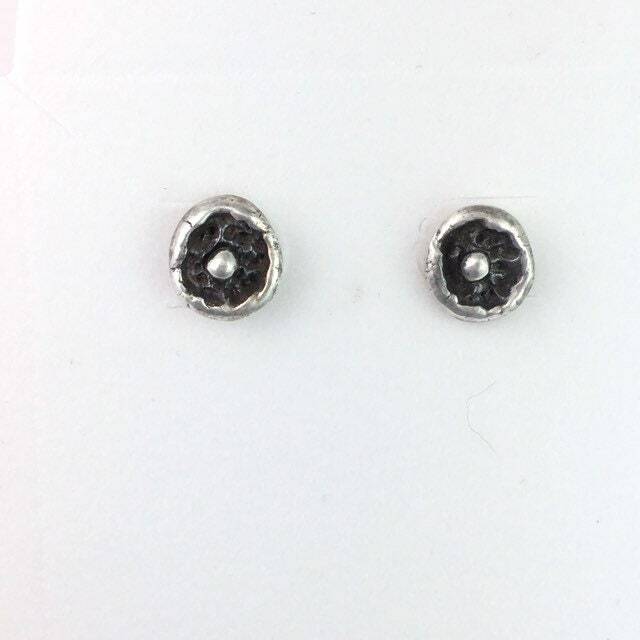 Small Seed Pods post style earrings with a black color hue on the inside of the pod. 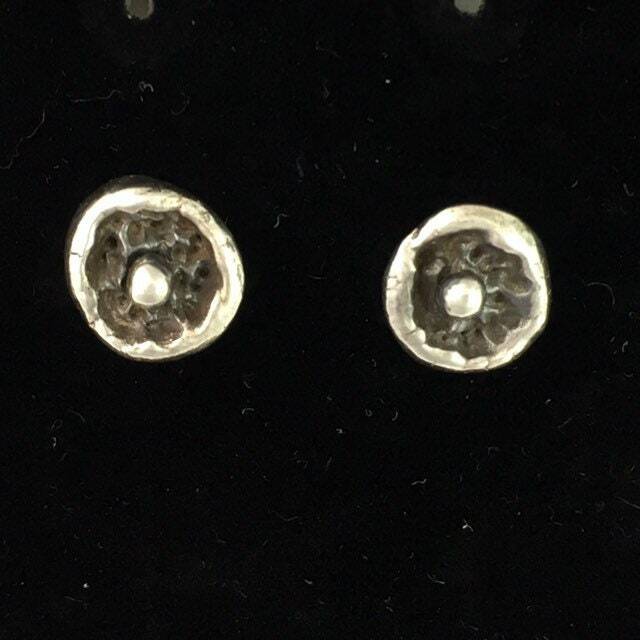 These earrings are handmade here at Jewelry Art 4 U. Each one is different from the next due to our unique process. 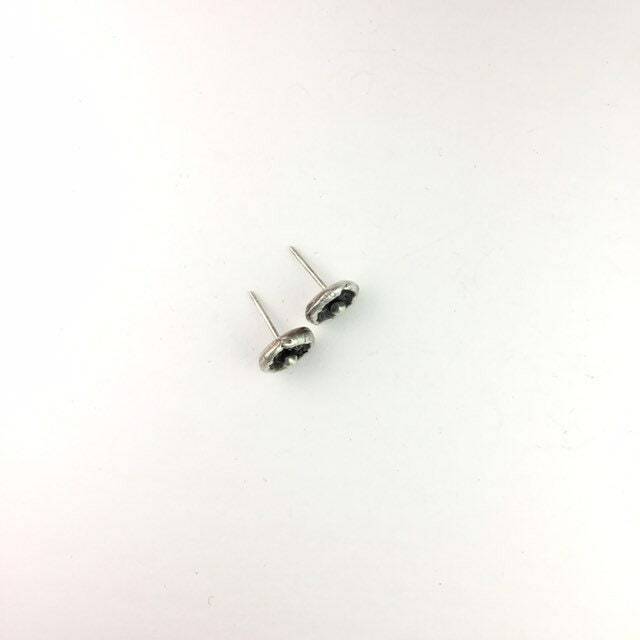 These earrings are made in Sterling Silver and come in a gift box ready for giving. 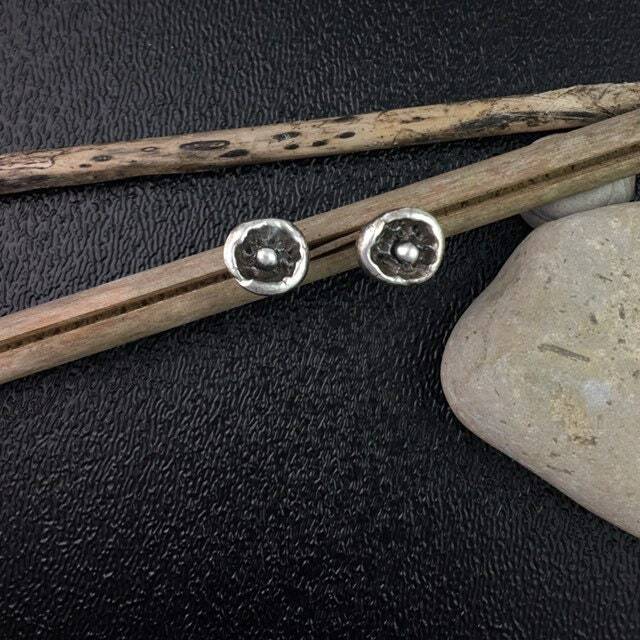 You will love these organic natural looking earrings. Great for wearing to that business meeting and still elegant for a night out. 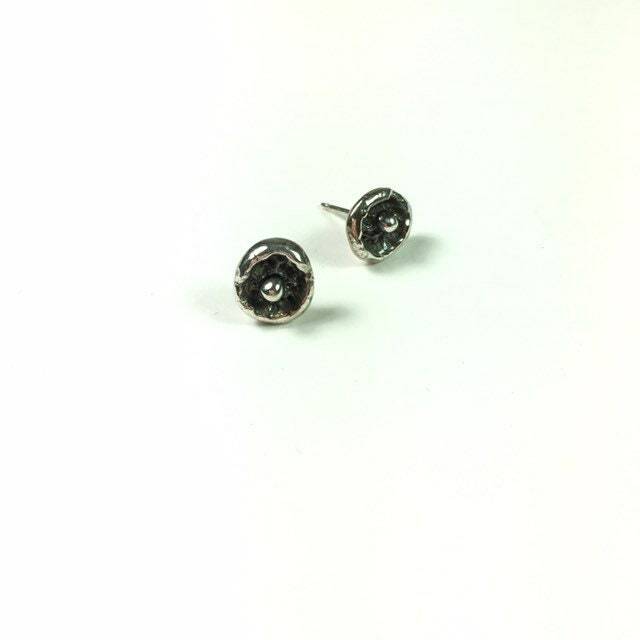 These earrings are stud earrings and come with standard ear nuts. 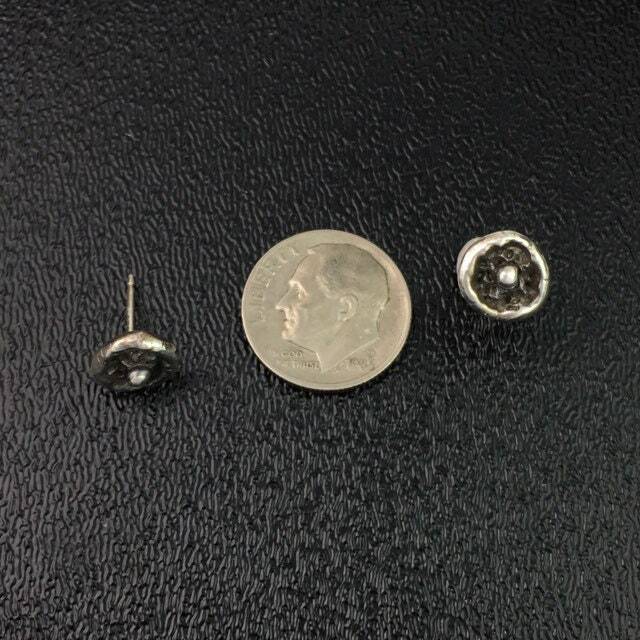 The earrings measure around 9mm or just around 3/8”. 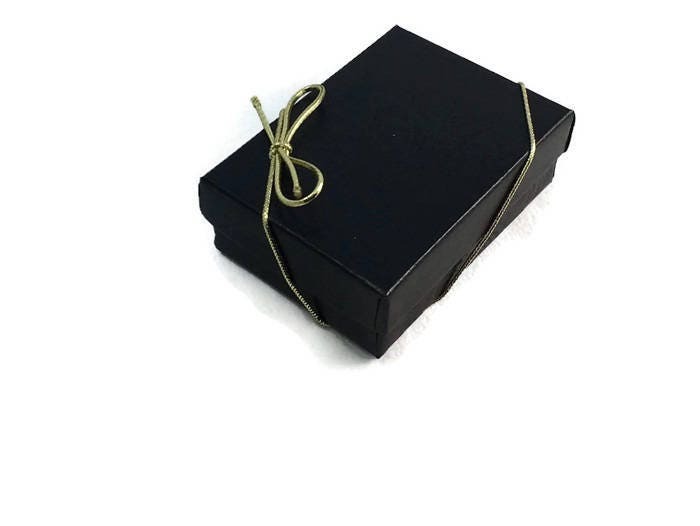 I ship priority mail so you don’t have to wait too long for your purchase.